Lakeland Terrier: Bold Hunter or Affectionate Family Dog? If a fun-loving, energetic loyal companion is something on the horizon for you, then you might want to consider one of the many terrier breeds. The Lakeland terrier, although typical of many of the terrier breeds has unique characteristics that set it a apart and make it especially desirable to many people. 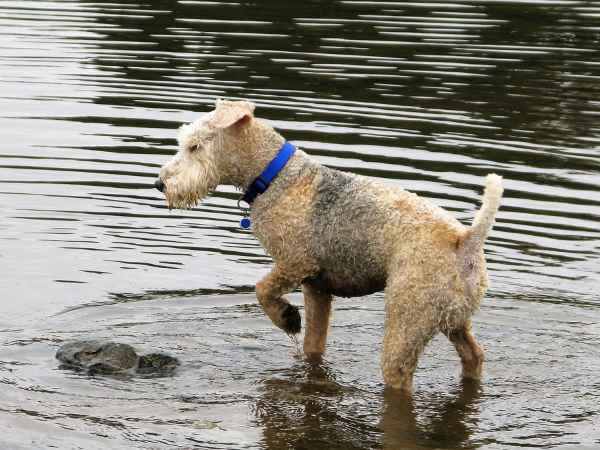 Although relatively rare in the United States, the Lakeland terrier resembles two other breeds, the Welsh and the Airedale in looks, but beyond that there are many differences. Like the typical terrier, the Lakeland puts on an air of confidence, intelligence and friendliness. The most common trait that all terriers display is their independence and energy level. These dogs are no couch potatoes and need daily exercise to keep them happy and entertained. You may notice much similarity in many of the articles about terriers because their temperament is remarkably similar—quick to bark, prey-driven, feisty, persistent and impulsive. These terms also describe the Lakeland terrier: clever but intense. 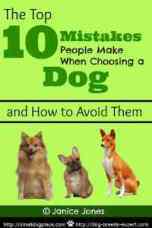 They make an ideal pet for active people, especially previous dog owners who are confident and willing to train and consistent in their methods. These dogs may challenge someone with a sedentary lifestyle. Appearance wise, Lakies as they are often affectionately referred to resemble the Welsh terrier, although somewhat smaller and both breeds resemble their slightly larger cousin, the Airedale. Their coat is thick and dense, consisting of a bushy, wiry outer coat and soft undercoat. Ideally, they weigh between 15 and 17 pounds (7-8 kg.) and grow to a height of 13 to 15 inches (33-38 cm) at the shoulders (withers). Their long legs allows them to run at decent speeds and their narrow body gives them easy access to small passages allowing them to capture prey. Tails are generally docked at least in the United States. Tails are left long in Europe and docked only if there is a medical need to do so. Originally developed to kill vermin, these dogs excel at Earthdog trials. The down side of that, however, is they love to dig, so an outlet for this inborn tendency might be required especially if owners have prized gardens. Years of breed development also gives them a strong prey instinct. Quick to chase anything small that runs across their path, owning a Lakie will require the construction of an extra sturdy fence that is dig and chew proof. They do not do well off leash because they are likely to bolt if something catches their eyes. They are easy to train but do have an independent attitude and can be stubborn at times. The Lakeland terrier gets its name from the area of England known as the lake districts. The Lake District in northwestern England is a mountainous, rocky, harsh area that provides plenty of places for hiding and burrowing. Few farmers lived in this beautiful yet harsh isolated area and they depended on their terriers to protect lambs and sheep from foxes and other predators. 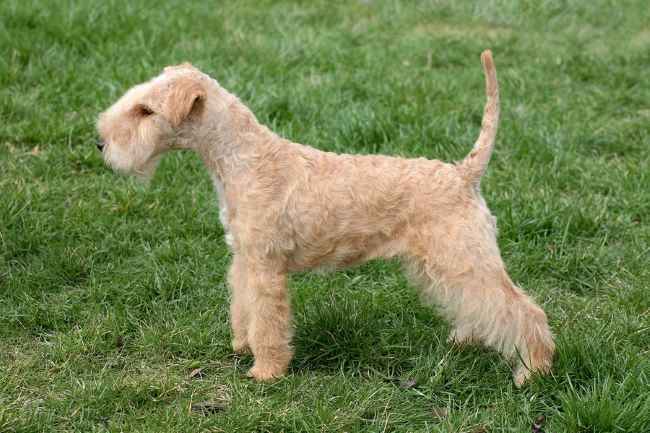 Like the Welsh terrier, the Lakeland was developed from the Old English Black and Tan Terrier which no longer exists. It is believed that other terriers were also used in the breed’s development including the Wire Fox Terrier, Border terrier, Bedlington terrier, and the Dandie Dinmont. One of the oldest terrier breeds, they date back to the 1800s. They were developed to keep foxes away from sheep and to keep the rat population down. It was also used to hunt den animals such as badgers, otters, and fox. Once known as the Patterdale Terrier, this little worker was known for his bravery, loyalty and work ethic. Today, the Patterdale Terrier and the Lakeland terrier are two distinct breeds. The breed was accepted as a breed in 1921and recognized by the UK at that time. In 1934 it became recognized by AKC. Popularity of the breed dropped before WWII and then picked up after the war, but the breed has never been highly popular in the United States. In 2014, the breed ranked 149th with the AKC. Although still used for hunting, today, the Lakeland terrier is mostly seen in the show ring and as a beloved pet. Today, most Lakeland Terriers are pets rather than working dogs and they have adapted to both urban and rural setting. But today's pets are not too far removed from their origins. Like most terriers they retain their bold, tenacious personality. They train easily, but harsh methods are not recommended. Terriers can easily get the upper hand and if they think they are being treated unfairly, they may lash back. Since terriers may not respond to the use of food as treats for work well done, it is recommended that a strong bond be developed between owner and dog before serious training begins. Terriers are not always the best choice for young children but do fine with older children and with other pets. They make wonderful family pets when children are taught to handle the dog properly. Gentle, well-mannered children make the best match for terriers including the Lakeland. Pocket pets may not be safe around any terrier due to their strong prey drive. Early socialization is important with any breed but even more so with Lakies. They should be friendly and outgoing and socializing them from day one will keep them from becoming shy or even aggressive. Their intelligence gives them the upper hand when it comes to problem solving. If they see something they want, they will figure out a way to get it. "They are incredibly adept and agile on agility equipment, but don’t be surprised if your Lakie designs their own course." Like most small dogs, housebreaking can be an issue. The real problem with housebreaking small dogs is the size of their bladder. They simply can’t hold their urine like large breed dogs are capable of doing. 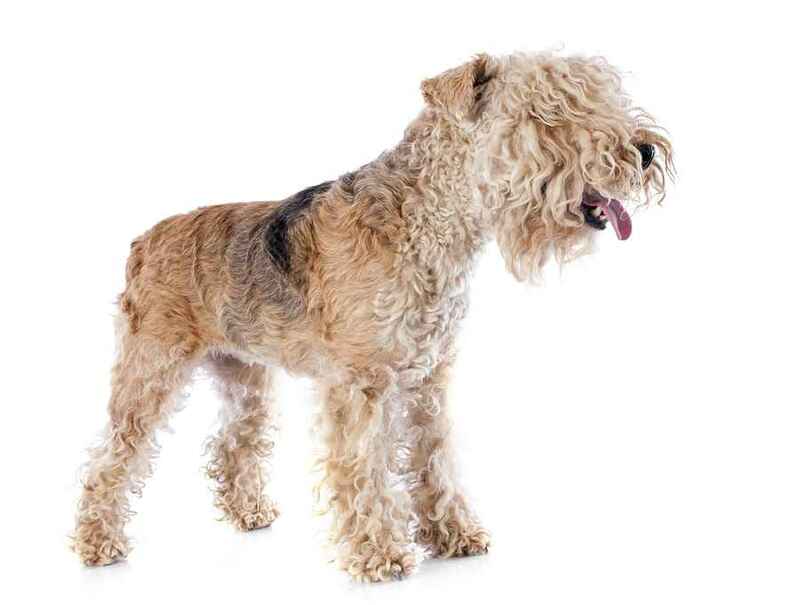 Lakeland terriers need regular grooming to keep their thick coat free of tangles. The time required to keep a show dog ready for the ring is normally too demanding for the average pet owner. Still, pet Lakies need a fair amount of brushing to keep them looking their best. They are considered a non-shedding dog and may be perfect for someone with allergies to other breeds. Their hair grows longer on their legs and muzzle making them appear as if they had a beard. Brushing and combing once a week is recommended and professional clipping and trimming is needed about every couple of months. Brushing and combing will remove dead hear and stimulate new hair to grow. A quick rub down with a towel after brushing will remove oils, dirt and debris which allows you to go longer in between baths. Each time you brush or comb your Lakie, check for external parasites such as fleas and also for skin conditions such as rashes or allergies. Ears should be checked and cleaned if needed, nails clipped and teeth brushed. A bath is necessary if your dog decided to tunnel his way underground, but otherwise, bathing once a month or less is usually sufficient. Show dogs are generally plucked or stripped which is time consuming and most pet owners would rather play, train, or interact with their dog rather than spending the time to keep them in a show cut. Lakeland terriers have not suffered the problems of over popularity and over breeding which means these dogs have remained relatively healthy with few problems. Bred to withstand harsh conditions, they have maintained these traits, so most live to a ripe old age. 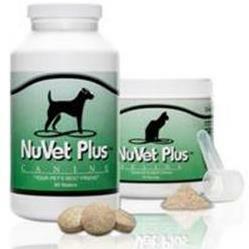 These sturdy dogs have few genetic problems and most live around 15 years. A couple of genetic problems have been identified including Legg Perthes Disease and vonWillebrand’s disease. Some have been known to have dry skin and lens luxation has been identified. The first dog to win both Best and Show and Supreme Champion at both top dog shows on either side of the Atlantic (Westminster and Crufts) was a Lakeland terrier named Stingray of Derryabah. This happened in 1967.